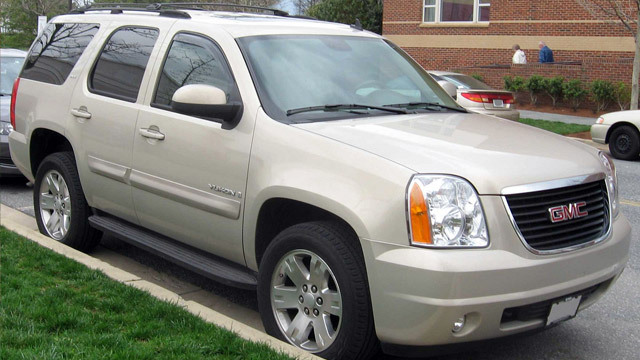 Belmont GMC Service and Repair - 5 Star Auto Service Inc.
5 Star Auto Service is the best choice for GMC service in Belmont and the surrounding communities. Why? First, our auto mechanics are either ASE-Certified or Master-Certified, which means they are experts in auto repair. Second, our facility is equipped with the latest and greatest in factory-scan tools, and finally and most importantly, we put our heart and soul into our work. 5 Star Auto Service is on the fast track to becoming the very best auto repair shop in Belmont and even beyond. With our work ethic and passion for exceptional service, we are easily the one-stop shop in the community for GMC drivers. And we have caught the eye of many national organizations who have chosen to champion us. We are an ASE Blue Seal Shop and Napa Auto Care Center, along with being a member of the Costco program and ACDelco. If you are a Costco member, you can even receive 15% off your GMC service. “Very impressed. I found them on Yelp and was pleased the service I received was to the same high standards I had read about. Conveniently located, clean shop, friendly and professional staff. My car was ready when promised. I will certainly return in the future.” -- Chris C.
For an auto repair shop that is the embodiment of the American Dream, hard work and determination, turn to 5 Star Auto Service. Bring your vehicle to our auto technicians and we will go that extra mile to properly service and repair your car, even performing a safety check and offering you shuttle service within the vicinity of Belmont. Schedule an appointment online for GMC service, or stop by our shop at 1444 El Camino Real, Belmont, CA 94002.